G.W.D. 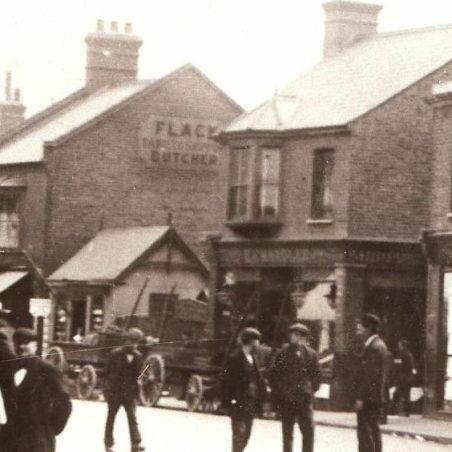 Ridges Hairdressers is the longest established family business still trading in Tilbury Town. The G.W.D. stands for George William David. 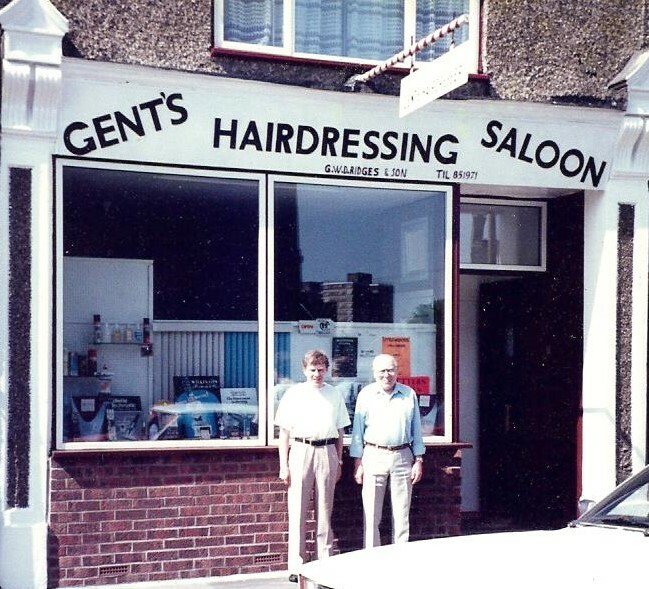 George started in the trade in 1942 (at the age of 13) by sweeping the floor for Joe Collins , a longstanding Tilbury barber. He earned half crown a week (12½p). 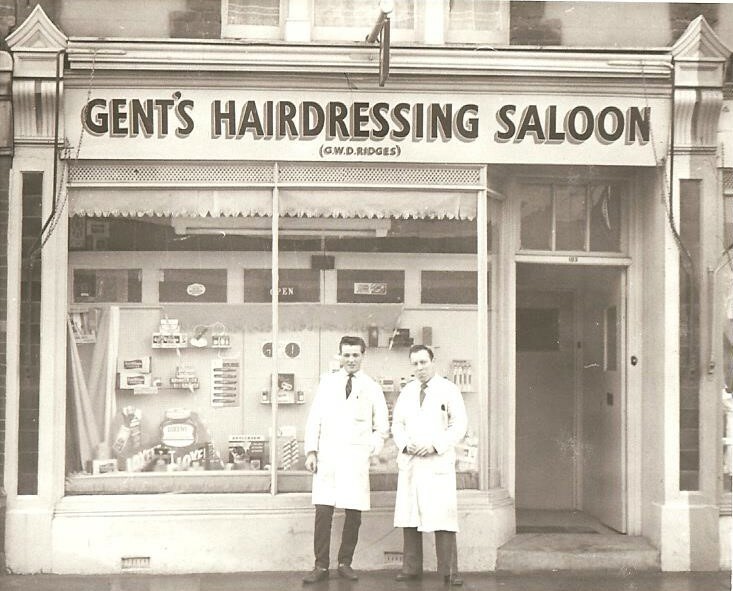 After George left school aged 14 he progressed by preparing people for their haircuts and lathering people ready for shaves. When they were not busy he would watch Mr Collins at work. After about ten months he started to cut hair. 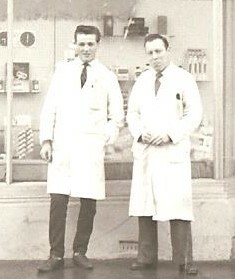 He spent eight years learning the tricks of the trade from his mentor Joe Collins. 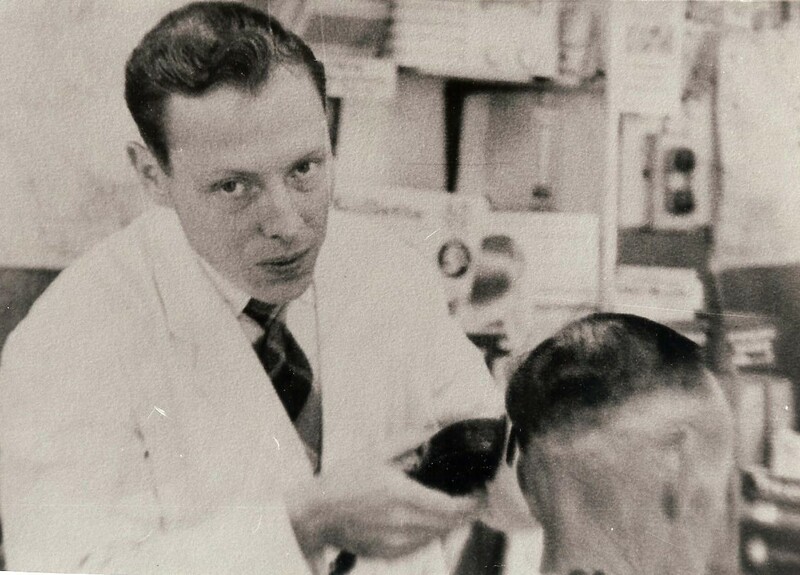 George remembers three men in suits sitting in the barbers watching him cut hair as part of his hairdressing exam. He still has his certificates hanging on the wall. 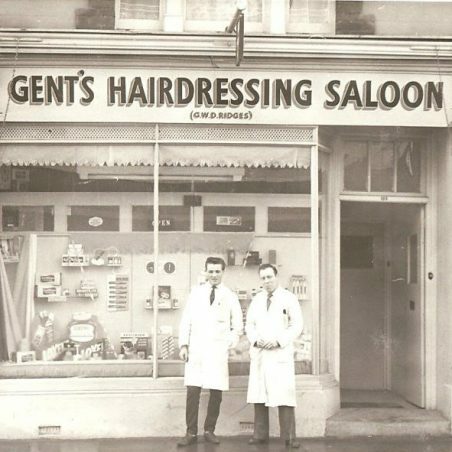 Joe Collins Barbers, was in a tiny tin hut in Dock Road. This was near the alleyway that led to the footbridge to Tilbury Town station (London bound). 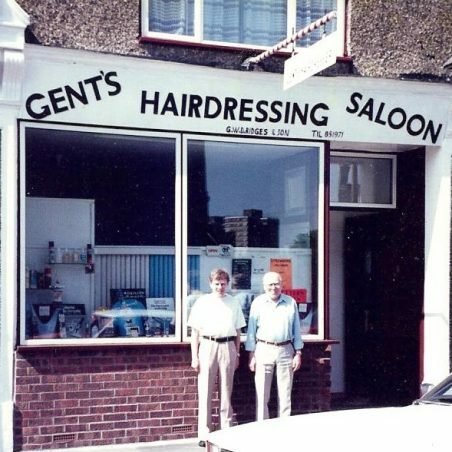 There was just enough room for two barber’s chairs and a couple of seats for waiting customers. 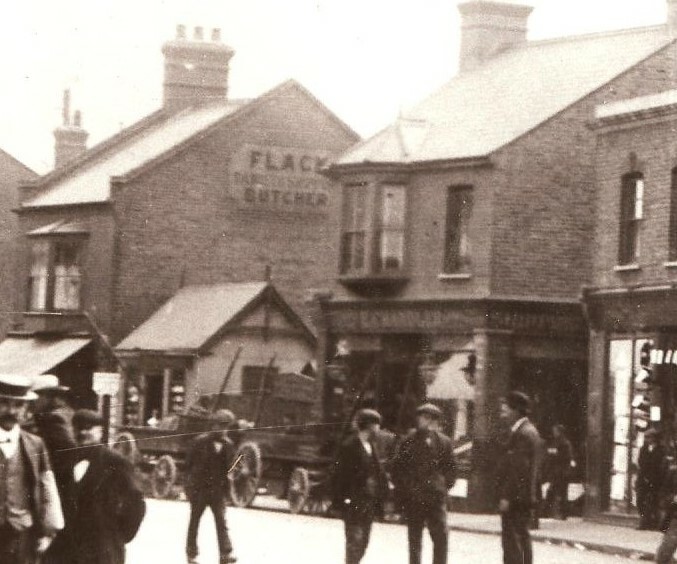 It was a thriving business with sailors coming in from the docks. 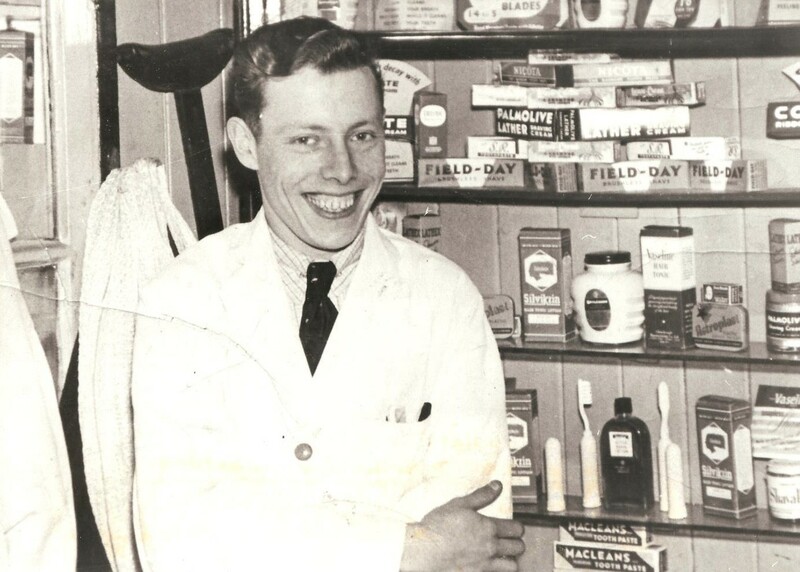 After more than a decade in charge George decided it was time to move to larger premises, so in 1960 he moved about 100 yards down the road to 183 Dock Road. George said that it was a sad sight to see the old tin hut knocked down, but you have to look to the future. 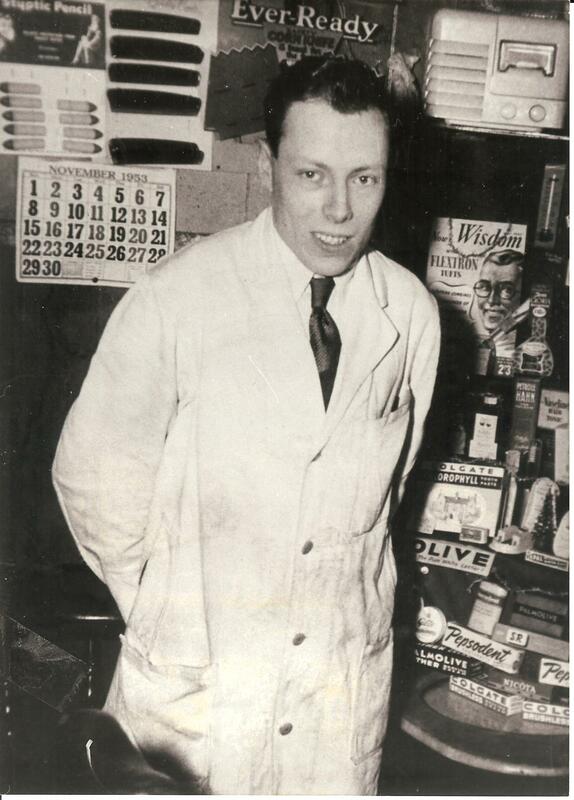 George, a keen carpenter cut out the fretwork letters for his shop sign in 1960 and they are still there today. 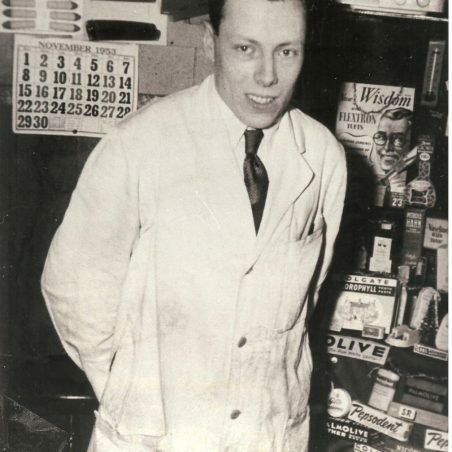 In 1968 George’s son, Dennis (aged 13), started helping in the shop. 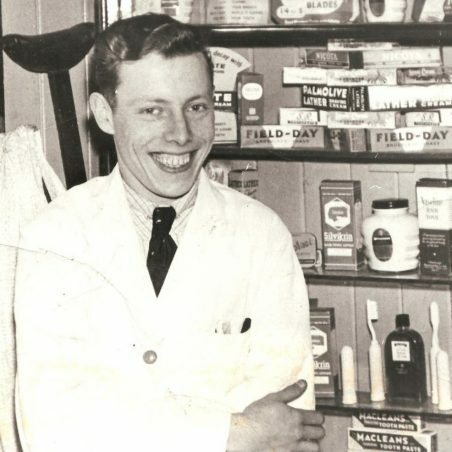 When Dennis left school at 15 he worked full time in the shop with his dad. The business then became G.W.D. Ridges and Son. 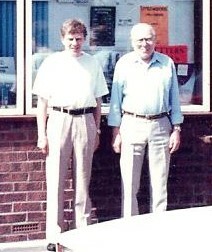 George retired in 2010 and handed the business on to his son Dennis. 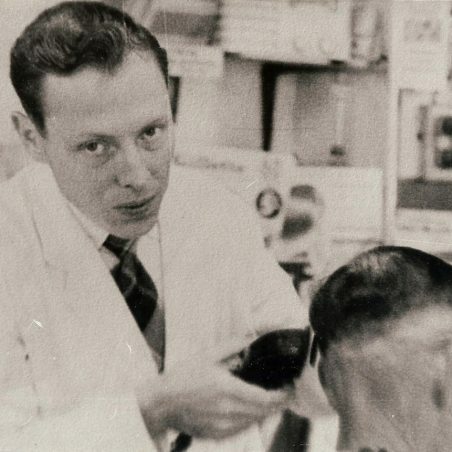 However, George still has a steady hand with the razor and will help out occasionally if the need arises. He now enjoys some well earned holidays with his wife Sheila who has supported him through everything he has done. George and Sheila also have two daughters Pauline and Margaret. My dad used to take me here in the early 80s. If i wasn’t having a skinhead im sure the other style i had was called a boston. Ridges is still going .